Explore the mighty harbours around Plymouth, home of much of the British fleet, then sail up to Dartmouth and Salcombe, guarded by fortresses and castles. Go inland and soak up the peace and quiet of the lonely expanses of Dartmoor, broken by the forbidding walls of Dartmoor prison. Visit Buckland Abbey, the home of Sir Francis Drake and stand on the Mayflower Steps where the Pilgrim Fathers departed to the New World. Soak up the sun on the English Riviera, and then go north to Lorna Doone country and the romantic Valley of the Rocks at Lynmouth. Visit the world famous Glastonbury festival and the beautiful cathedral city of Wells, go east to the world heritage Jurassic coast, then finish your journey in Bristol, home to the Mathew, Banksy and the iconic Suspension Bridge. Don’t miss out on the Roman and Georgian splendours of Bath. "Come to the South West. Marvel at the awe inspiring cliffs of Lands End and the rugged Cornish coastline, inspiration for painters and writers through the centuries and home to fishermen and smugglers. Find your own hidden cove or walk out through the tide to St Michaels Mount. Visit the Minack Theatre while dolphins play in the bay below." Little Norton Mill is a collection of 8 self-catering units, encompassing 4 2-bedroom cottages overlooking a beautiful mill pond, and 4 1-bedroom apartments with lovely views of the garden. All set in 7 acres in a gorgeous Somerset village. 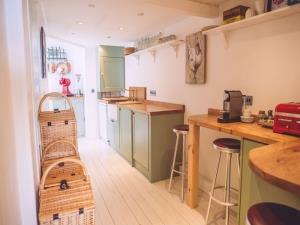 Brick, stone and slate barns converted to cottage accommodation, all fully heated and tastefully decorated. Set in the midst of Hardy's Wessex. 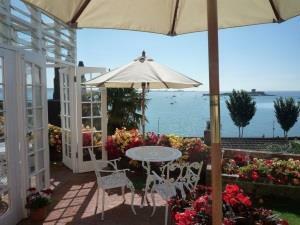 Quiet location yet near to town centre and harbour. Boat and Train trips from nearby allow you to explore the bay with ease. Free WiFi available. 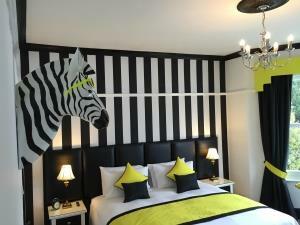 Single, double, twin and family rooms available, all ensuite with free breakfast and parking. 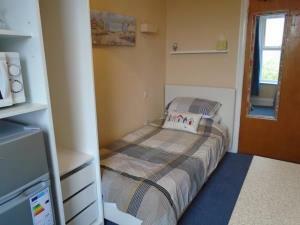 The Florian offers 6 Studio rooms all with en suite or private facilities, arranged over three floors. There are 1x Doubles, 2x King/Twin, 1x Single & 2x Family which can accommodate 4 persons. All rooms have a kitchenette. 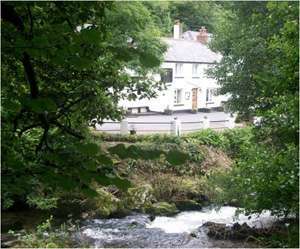 Traditional Country Inn overlooking the East Lyn River in Exmoor National Park. Ideal getaway in rural isolation. Welcome to our Panorama. Relax in pleasant smoke free surroundings. Enjoy some of the finest sea views in Jersey. Sleep on luxury beds, pocket springing for extra comfort most are two meters in length. Enjoy our award winning Breakfast! 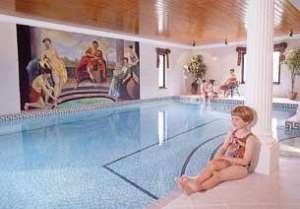 Book a 3 night short break and receive an extra night free. All the cottages are situated in the grounds of Chambercombe Manor which has 4 acres of beautiful gardens for our guests to wander around. There is wi-fi available on site. 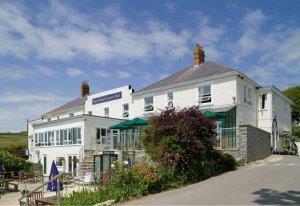 Nestling between the clifftops and downland that form the Heritage Coastline, the hotel enjoys stunning sea views. 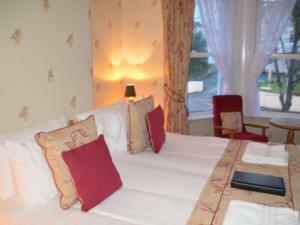 Small friendly B&B at edge of village with 2 spacious ensuite bedrooms. Close to Tarka Trail & South West Coast Path. 3 miles from Saunton beach. Drying facilities & storage for bikes/boards etc. 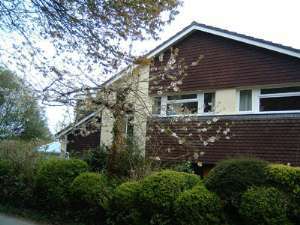 Family run, spacious accommodation, 3 miles from Exeter in countryside, ample free parking, ideal touring base for coasts, moors and university. 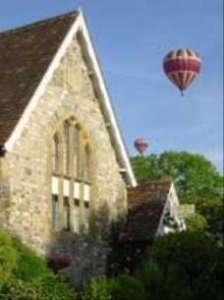 Tastefully converted Victorian village school offering excellently appointed rooms, a warm welcome and good food in a stunning location. With their enviable reputation, award winning hoteliers Andy & Julian have created a very special place to stay. The 25 offers six individually designed funky rooms with the latest technology and homely touches. 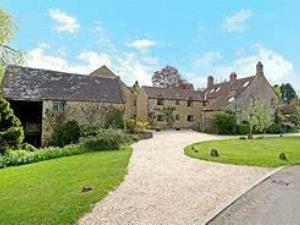 Homely 380-acre arable/beef farm. 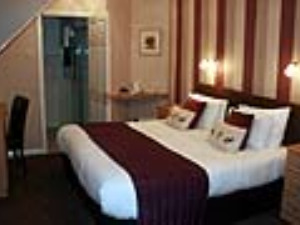 En suite rooms, TVs, tea/coffee-making facilities. Guests own lounge, dining room. Landscaped gardens with off-road parking. Tucked away yet easy to find. Central for Somerset locations. 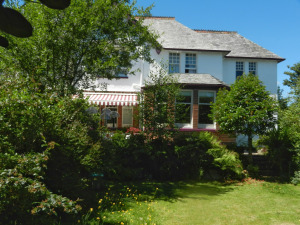 Former rectory with views towards Exmoor. Spacious en-suite accommodation with freesat television. Delicious freshly cooked local breakfast served in our restored Victorian conservatory, Private parking. 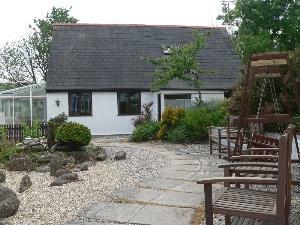 Close to beaches and Exmoor. 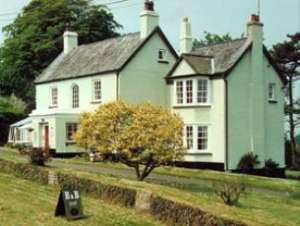 Wringford is on the edge of the Mount Edgcumbe country park and is a 10 minute walk from the coast and the villages of Cawsand and Kingsand. 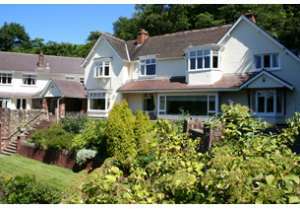 There is a full range of bookable accommodation in The South West which means you can find your ideal property in the ideal location for you. Roomcheck works directly with the accommodation owners to bring you the best holiday deals. Browse all our accommodation by just clicking on a type of property you wish to stay at below and book your perfect holiday! Cornwall has some of the most beautiful coastlines in the UK. Learn to surf, bodyboard or take a relaxing boat trip. There are also historic castles, museums and World Heritage Sites to visit so why not plan your trip today? Devon has not one but two National parks and five Areas of Outstanding Natural Beauty. There is something for families, couples and solo travellers. 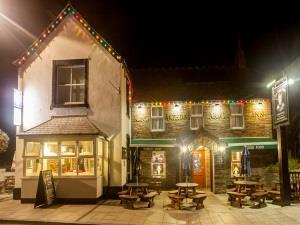 Plenty of award-winning places to eat and a full calendar of events. The largest of the Channel Islands, Jersey has lots to offer visitors. Whether it’s a beach walk along the unspoilt coastline, a 12th-century castle or watching the sunset over St Ouen’s Bay.